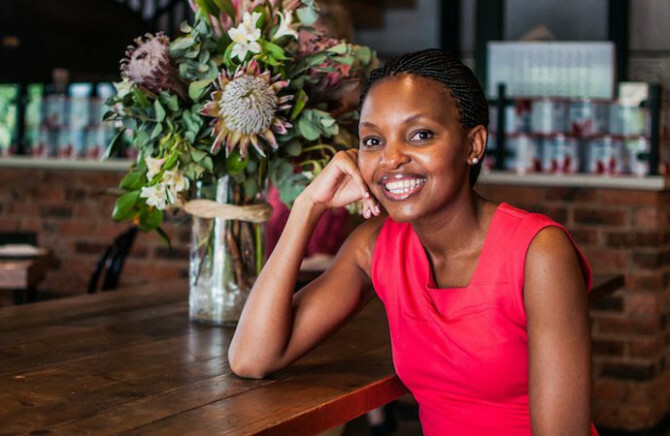 Having qualified as a practicing attorney in both South Africa and Zimbabwe, Samantha opened a Non Profit Organisation purposed to tackle the social needs of ordinary women across the continent. The mobile legal office called Lady Liberty SA travels throughout various regions providing workshops, consultations and if required, further legal services for women in marginalized communities. The workshops are purposed to provide access to information on ones human rights. “I focus on African women because of the cultural shadows that burden women with expectations: ever so often she forgets her potential.” These services are however available to men as well, with many in the townships of Johannesburg and Tshwane taking advantage of the opportunity. As a means to further ignite the growth potential of the organization and provide an holistic value-added service, Lady Liberty has strategically partnered with key players in the social organization sphere. The former has been to provide symbiotic complimentary services to particular reach out campaigns, such as Soul City’s focus on the health of young girls. “You have to plug in to the work that is being done; that in the growth of others, so can you grow as well.” The latter has been to meet the needs of both the attendees of the workshops and the firms clients. Though there have been difficulties along the way, primarily due to the emotional and time investment made in each case, Samantha has found the in between moments of hope to keep her going. “I had been exhausted after consecutively consulting with 8 out of 13 women one-on-one for that day. However, at the end of that conversation, she turned to me on her way out and said that I’d released her spirit.” It had been inspiring to see the impact of one message of hope. “As it had inspired her to keep going, it did the same for me,” she laughs it off. She had been personally experiencing the challenge of being overstretched and overworked. Since its inception just over a year ago, Lady Liberty has had a direct impact on over 1300 people, reaching individuals throughout the marginalized communities of Gauteng, South Africa. “The impact has exceeded my expectation for the initial startup phase,” Samantha notes – downplaying the success of the organization. With the immediate plans to first expand the team prior to replicating the model across the SADC region first, Samantha has found a way to emotionally and financially save the demographic often left helpless and hopeless in this regard.